Motor-vehicle crashes are the leading cause of death among teenagers. 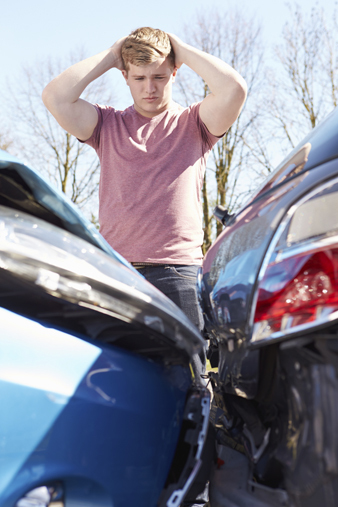 Inexperience and natural impulsiveness are two of the largest contributing factors to these crashes. Oftentimes programs do not directly target these issues. Inexperience can only be addressed with practice – it takes several years before a teen’s crash risk resembles that of an experienced adult driver. Impulsiveness is a part of normal teen development – key areas of the brain involved in judgments and decision making are not fully developed until the mid-20s. Because the issues surrounding teen driving can be so complicated, policies and environmental changes often work better then programmatic approaches. Potential solutions for improving teen driver safety include state-level policies (e.g., graduated licensing), community-level policies (closed-campuses at lunch), and community-level programs. With some approaches, the effectiveness is presently unclear, requiring more scientific evaluation (e.g., programs for parents of new drivers). Finally, there are several strategies that are documented as ineffective since they do not address the key factors mentioned above. Please see the links on the right-hand side of the page. If you have any questions, please do not hesitate to contact us using the Contact the Center link on the right-hand sidebar.